No more need for sms, whatsapp, email and calls. Now one central location! Seen something you need to tell us about ? Noticed a problem in the building ? Something's not quite right ? Still logging problems and incidents by Phone ? Forget about text messages, emails, whatsapps, calls and many other communication channels. 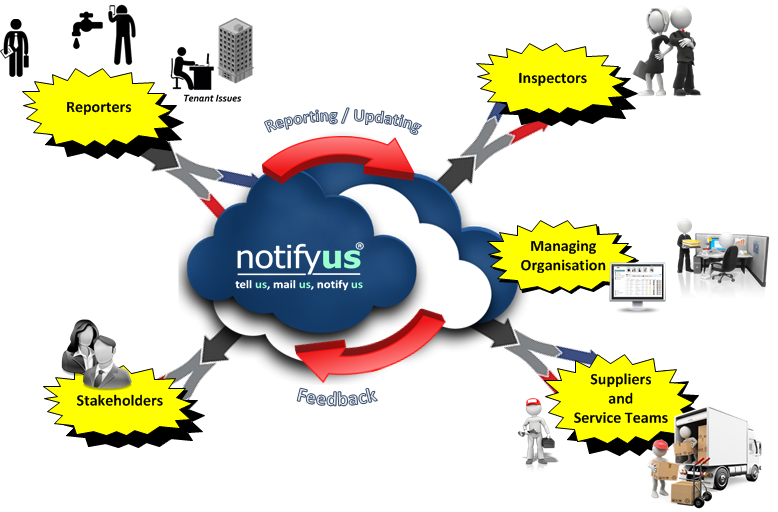 With NotifyUs, all your communication is centralised to a single location making auditing, tracking, and management much easier and simpler. 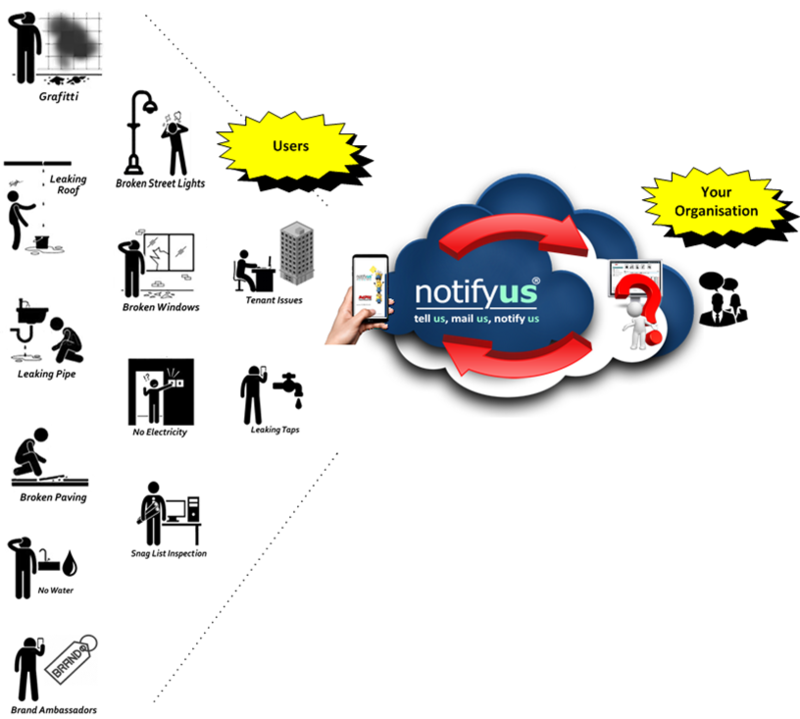 NotifyUs has been designed from the ground up to be available on any device anywhere in the world. Access the mobile apps via the Apple AppStore or Google Play store today. Alternatively access the console through any browser whether on your mobile device, laptop or desktop machine. With mobile notifications, communication has never been easier. 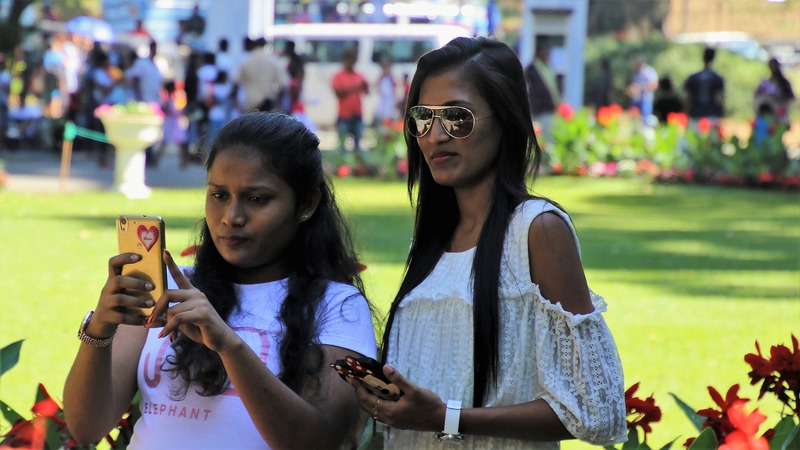 Instant notification on your phone or via email ensures that you are always on top of your incidents and any communication happening in NotifyUs. Get notifications when a comment is added, a status is changed or for any activity that takes place in any incident. NotifyUs collects contact information in a central portal. 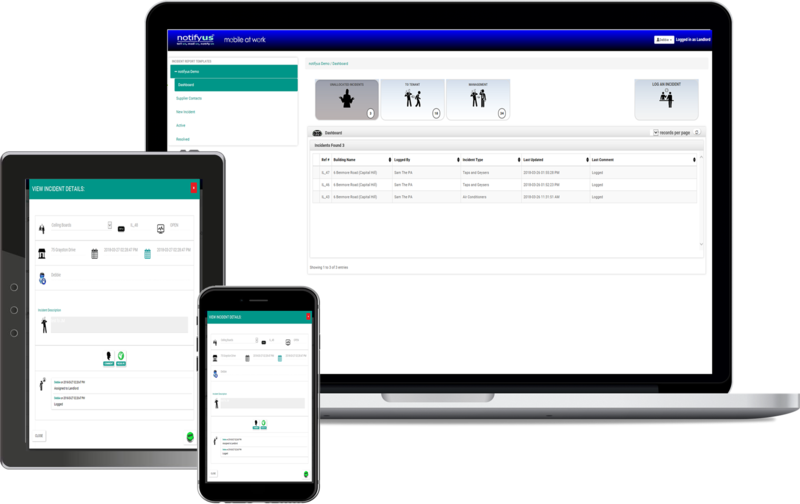 This ensures that for your customers, team members, suppliers, tenants and managing agent the communication between parties is transparent. 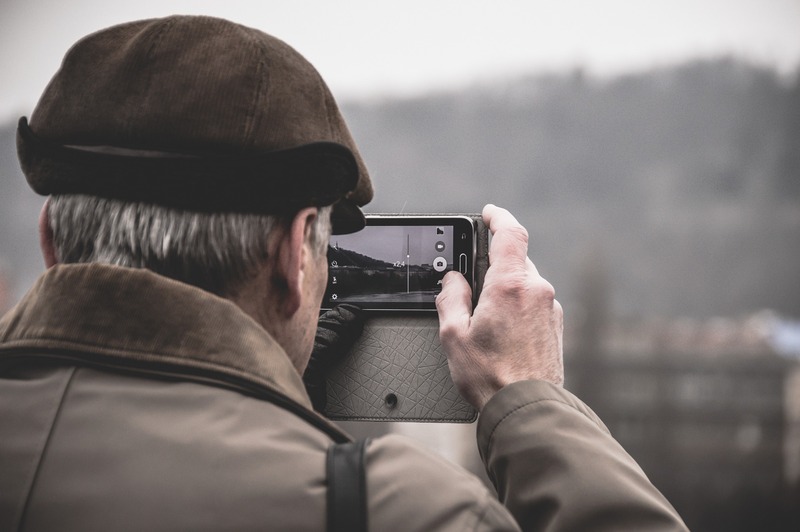 StakeHolders are persons that have an interest in the communication between Reporters, Managing Organisations, Suppliers and Service Teams in relation to a notification. They need to be registered by the Managing Organisation. Examples are Trustees, Owners etc. Single location to store all your data and documents. 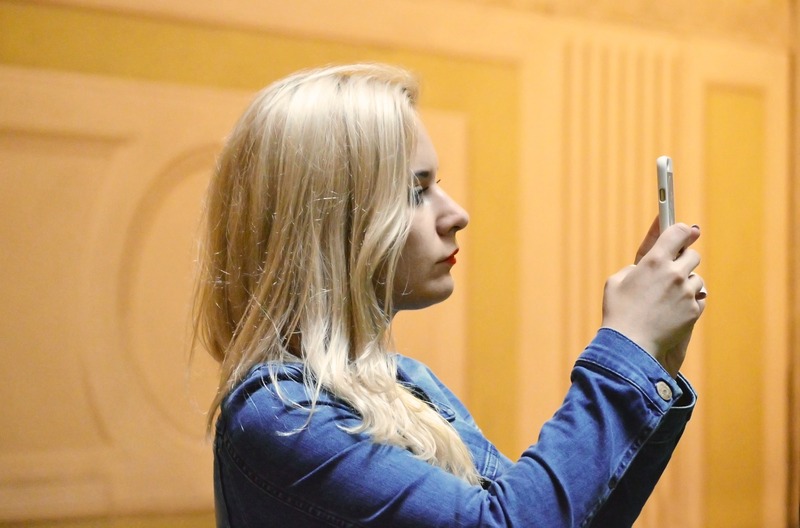 With the ability to link documents, images and much more to an incident, NotifyUs makes it easy for you to store everything in a single location. Suppliers and Service Teams are any person that interacts with the Managing Organisation. These may be internal departments or external parties. They interact with the Managing Organisation – not with the Reporter directly. They have to register with the Managing Organisation. Get NotifyUs For Free right now!